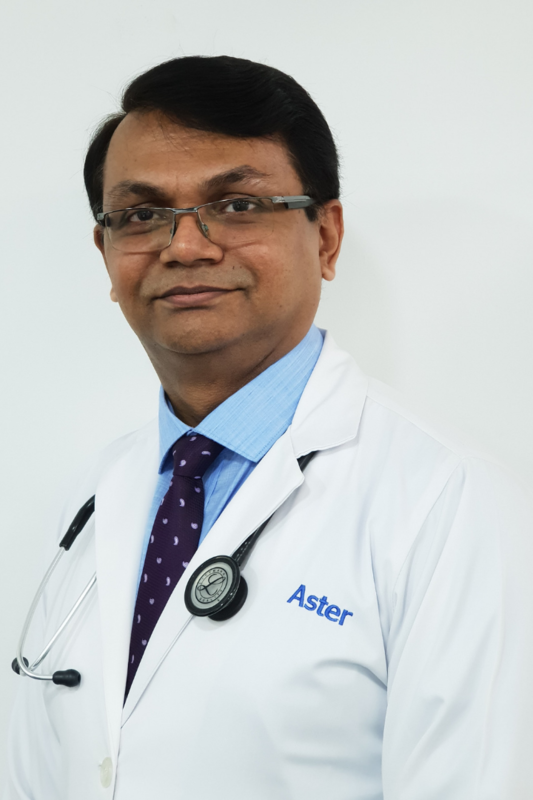 Dr. Ajitkumar Ratnakaran Menon is working as a General Practitioner at Aster Clinic, Muhaisnah. He has over 13 years of experience in handling diabetes in India and the UAE. Dr. Ajitkumar completed his MD (Physician) from the Kuban State Medical Academy and subsequently did his internship from the MS Ramaiah Medical College in Bengaluru. He has also completed his Post Graduate Certificate Course in Paediatrics and achieved a Diploma in Family Medicine by the RCGP (UK). His other academic achievements include completing the MRCGP part 1 and preparing for the MRCGP part 2, as well as currently pursuing a PG Diploma in DM from the University of South Wales.